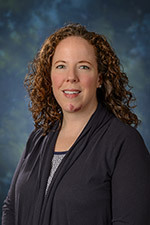 MaryKate Kraus has been named the director of high school programming and educational outreach at Hudson Valley Community College. Kraus has worked in higher education since 2004 and brings a variety of skills and experiences in the college setting to the position. In her role at Hudson Valley, Kraus will oversee programming for the College in the High School program, which offers more than 90 college-level courses at more than 30 high schools across the Capital Region during the regular school day. These courses, which are offered at a reduced tuition rate, give students an opportunity to experience a college-level course while still in high school. College credit can be applied to Hudson Valley Community College programs or transferred to most four-year colleges and universities. In Fall 2017, more than 1,700 students took courses through the College in the High School program. Kraus joins Hudson Valley's staff after spending four years as both a senior student services administrator in the Office of Graduate Education and a senior student services administrator in the Electrical and Computer Systems Engineering Department at Rensselaer Polytechnic Institute. At RPI, Kraus managed the graduate student recruitment and admission process, coordinated the financial aid process for new and continuing students, provided support services, tracked academic success and organized orientation programming. Prior to that, she worked as the assistant director of admissions at Siena College for nine years. Kraus holds a B.S. in finance from Siena College and a M.S. in educational administration and policy studies with a concentration in higher education administration from the University at Albany.